we convey the difference in style and texture of each kiln through its local landscape. One of the charms of Japanese pottery is the clay and glaze of each region as well as the potter’s technique. By offering the goods along with its background and story via video, printed materials, and the web, we hope that it will encourage users to lead their curiosity to become knowledge and to visit the locales. The beauty of Japanese pottery has a high reputation worldwide and is practical and boasts many variations. However, there are also aspects that are hard to grasp, such as cases where you cannot buy pottery without having knowledge of pottery or the artists, or you cannot get pottery in the same size unless you buy several at once. 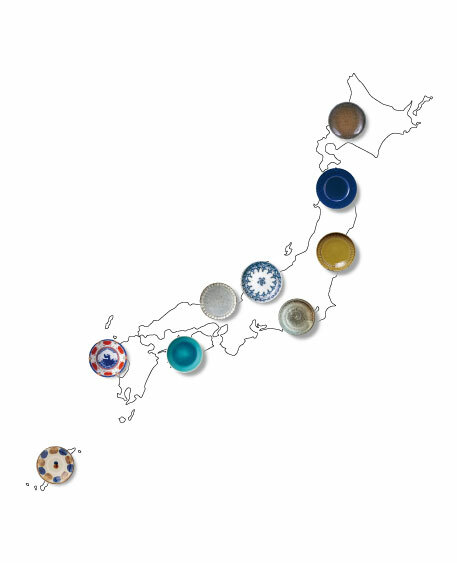 Therefore, as an opportunity for people to easily get in touch with pottery, we are going to have potters throughout Japan create pottery of uniform shape in stackable form, and we will share information on pottery and potters via the website, printed materials, and video. 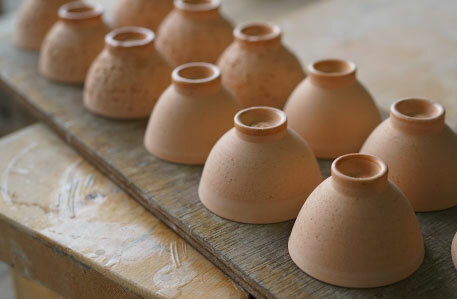 By having potters use their local methods of baking with the clay and glaze used for pottery and explaining the differences among the method, anyone will be able to easily buy pottery and learn about the potters and the settings around their kilns at any time through video and the website.